Gavin: Hey, Greg First thing, tell us a little bit about yourself. Greg: I’m 36 years old, married, with three kids, I was raised in Salt lake County. By trade, I am a pipefitter/welder. 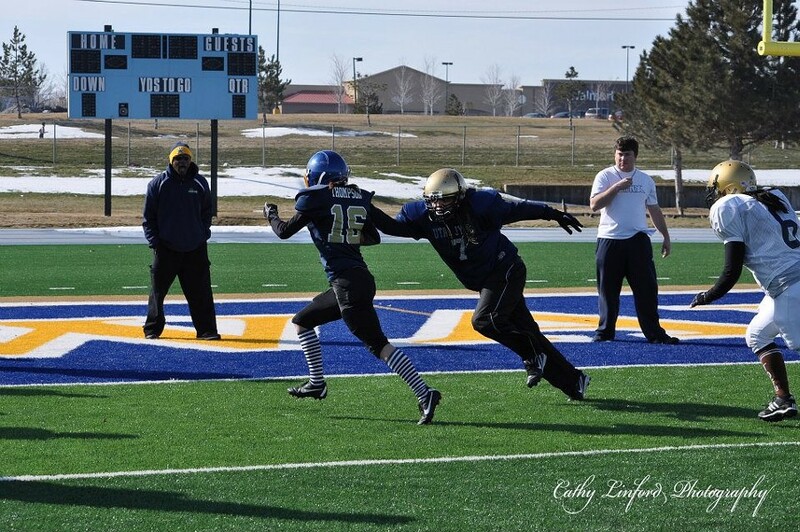 Coaching experience includes Little League baseball, Little League football, high school football and, now, women’s semi-pro football. Gavin: What first got you interested in football, and what were some early influences on you? Greg: Playing street football growing up in the streets of Rose Park. Playing Little League in West High Conference. Watching the Chicago Bears, Notre Dame football and Jim McMahon while playing at BYU. Gavin: How much did you play the game growing up and going into high school and college? Greg: I played from the age of 7 through high school; seventh grade West High Little League and ninth–10th Granger High. 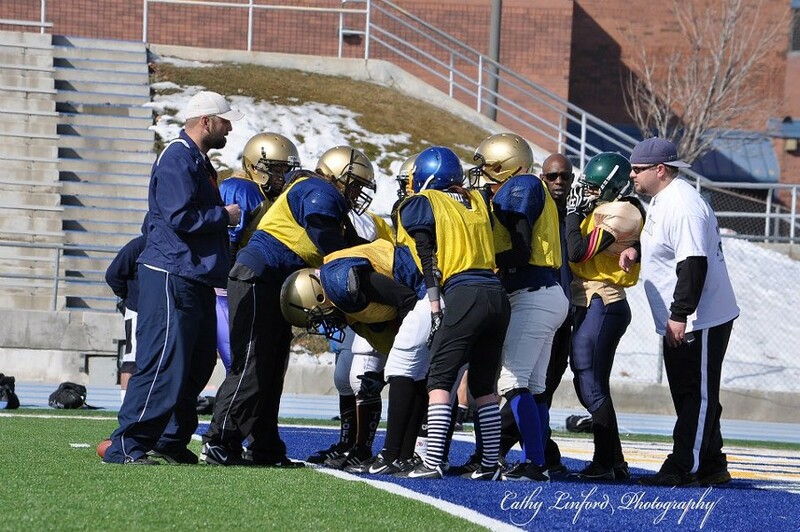 Played semi pro from early 20s–28 in the Utah Football League, now known as RMFL. Gavin: When did you first learn about women's football, and what got you interested in the leagues? Greg: In 2009, I was approached by a few girls who played for the Northern Utah Avalanche, which were expanding a new team to play in a national league and looking for a coach. Gavin: How did the idea come about to start up your own team, and how was it applying to be in the WFA? 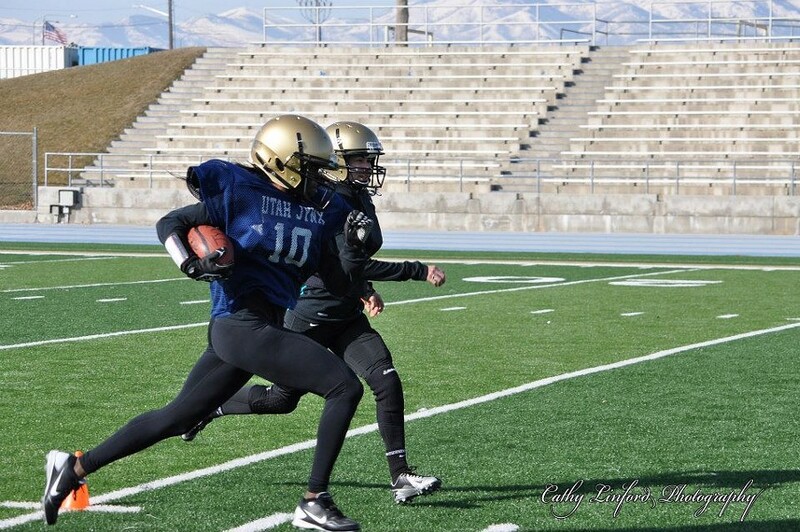 Greg: The first team I coached in 2009 had a very rough season, and athlete’s coaches, admin and sponsor were looking for a more competitive team and so we decided to form what is now the Utah Jynx. 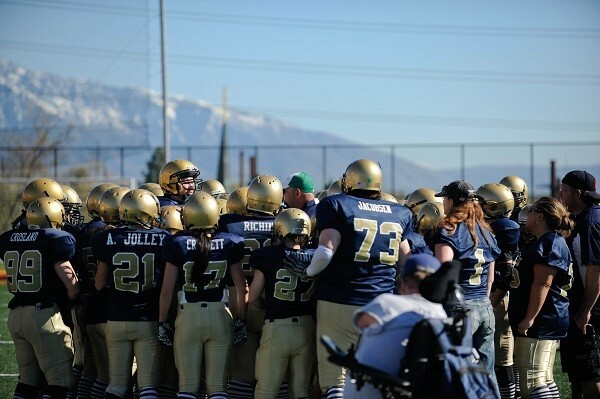 Gavin: Originally you coached the Utah Blitz. What was it like running that team during their initial start-up, and what eventually made you decide to leave? 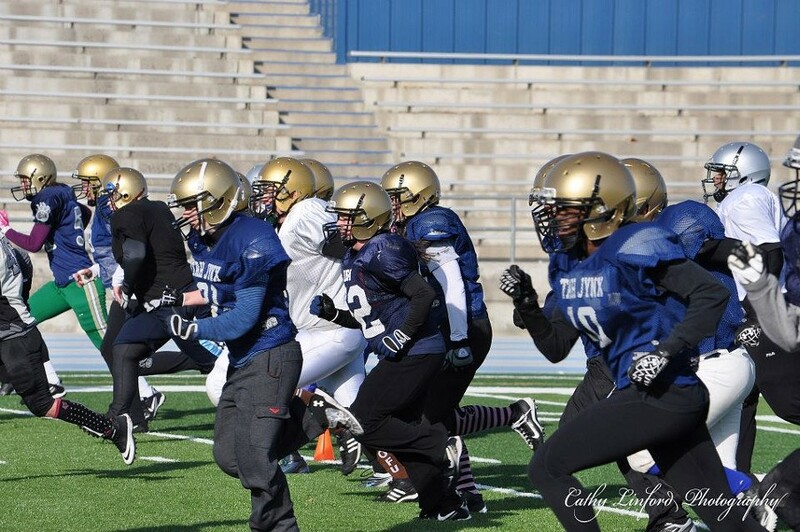 Greg: It was a new experience and it was great to see women out there breaking barriers. I gained a lot of respect for the women I coached the first season. 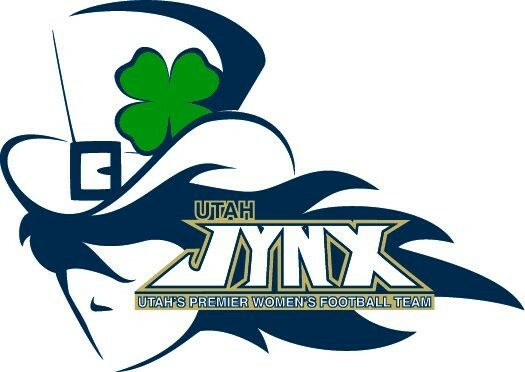 Gavin: How did the idea come about to start up a brand-new team in Utah, and where did the Jynx name come from? Greg: There was a need for a team that could compete at a national level in Utah and truly represent the women athletes we have. 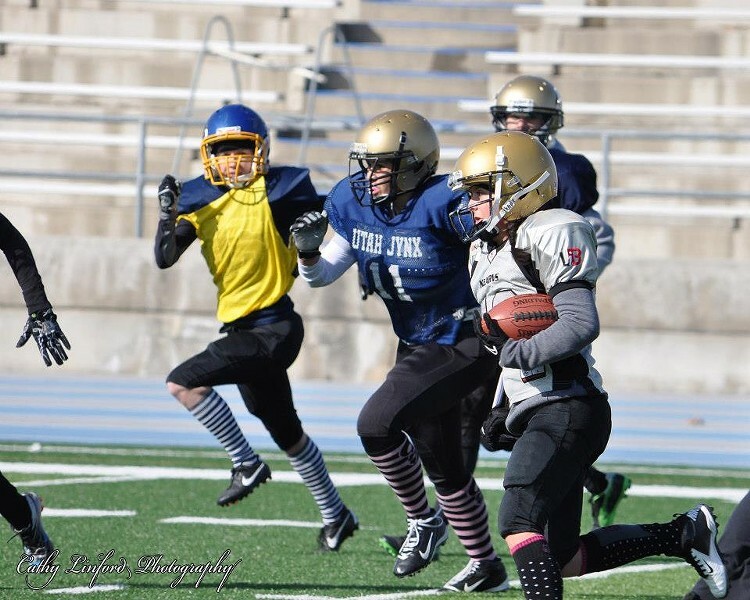 It is a "Jynx" for women to play football because they are not supposed to -- our mascot is a lady leprechaun, and in Irish folklore that does not exist. Gavin: What was the process like in putting both the coaching staff and the team together? Greg: The coaching staff was easy; it is the same coaching staff that I put together with the other team. Over half the team came from the other team and putting the word out where there are athletes. 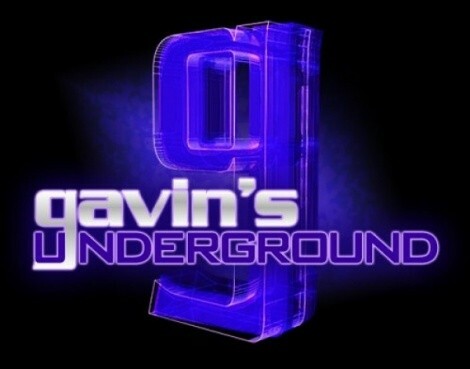 Gavin: The team was officially founded in the summer of 2010. What was it like for you and everyone on board playing that first year and establishing the team in the valley? Greg: We played independent and we were still able to sell the product because everyone who came to look at it could see that it was a competitive team. We originally had a 12-game schedule, but once everyone saw that we were more than an exhibition team they bailed out on games that were scheduled. Gavin: Since we're on the topic, what made you keep the team in the West Valley/Taylorsville area rather than bring them downtown, where many indie-league teams reside? Greg: Originally, with the other team, we were at Granger High. My alumni and I felt that was centrally located to the Salt Lake Valley. The Jynx first two seasons were played at Granite High, which is also centrally located. 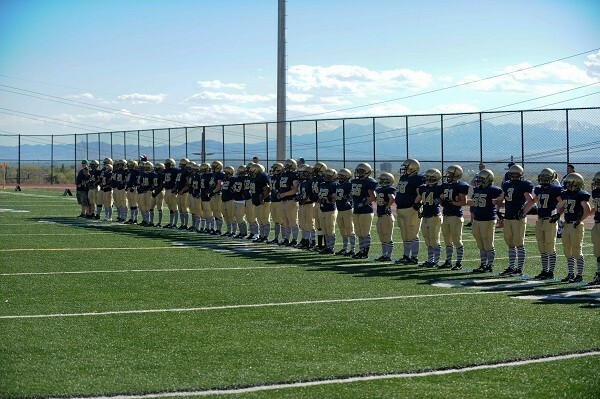 I have chosen to go to the Taylorsville area this season, playing at Taylorsville High this season, which is easily accessible to the freeway, has an amazing field and has a scenic view of the mountains. Gavin: What's the drafting and training process like for you putting together the team every year, and how much of the team is made up of fresh faces compared to veterans? Greg: We lose half our athletes every season. It is a big process. We recruit year round. In the off season, we have a 10-week mini-camp every year with fundraisers, charities and public appearances that help us recruit -- 24/7/365. Gavin: What's the reaction you receive from people when they see this isn't a lightweight or spectacle show, that it's actual hard-hitting football? Greg: People are taken in and welcome and respect the product we put on the field. Last season, we averaged 700-800 people per game; we had games last season where there were 1,000 fans in the seats. This year, we look to have anywhere from 1,500-2,000 fans per game. Gavin: What's your relationship like with the Blitz today, both teams competing in the same league and division together? Greg: It’s football. We will play anybody -- anytime, anywhere -- from any league. Gavin: Last year, you finished with an 8-1 record. How hard was that season, and what was the reaction around the league to see a team out west finish that well? Greg: Going into the season the first year in the league, we were ranked #7, which was established in our inaugural season playing as an independent team. There were skeptics from the bigger teams in the league, which was expected by the coaching staff and team, but we knew we had a team that could go all the way to the championship and win. Our lack of experience lost us that one game... no excuses. Gavin: This year, you've been ranked #12 in the nation headed into the WFA 2013 season. What kind of pressure does that put on you to meet that expectation and reach the Top 10. Greg: Same pressure every year. We expect to win every game. Being in the top 10 is nice, but we play to be #1. Gavin: What's the overall mood from the team going into this year's season, and what kind of an impact are you hoping to have following last year's run? Greg: There is a lot of excitement, and our athletes know that we didn’t leave it all on the field last season and we have unfinished business. We expect to go undefeated in our division this season and be at the big dance come August 3. 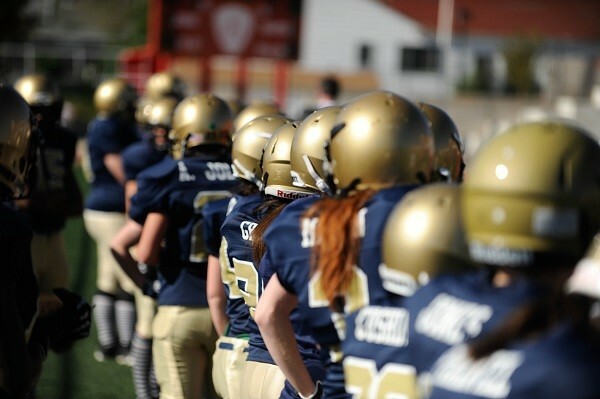 Gavin: Moving on to the sport itself, what's your take on women's football today, both good and bad? Greg: It is the fastest growing sport in the U.S. and around the world. I think that it is great that it is more than opportunity, it is an option to play the nation's favorite game. Athletes in general need to take it more serious. It is a sacrifice in their daily lives; they don’t get paid to do this yet and everybody involved needs to be professional on and off the field. Gavin: Is there anything you believe could be done to improve the game or make it more prominent? Greg: Sponsors, media recognition and being able to pay our athletes. Gavin: What are your thoughts on the WFA and the work the league is doing to promote the sport and get people involved? Greg: It’s an honor to play in the biggest league in the world that offers women's football. The NFL didn’t blow up overnight, it was a 10- year process. The league is young and the sky is the limit. Gavin: With the league receiving attention around the country, where do you see the WFA going? Greg: League being at ground level now, the next step is getting our athletes paid. Gavin: What can we expect from you and the Jynx the rest of the year? Greg: You can expect excellence on and off the field. Involvement with our community and action-packed games with us letting it all hang out on the line to continue being one of the top teams in the nation. Greg: I would like to thank you for the interview and the opportunity to spread the word. 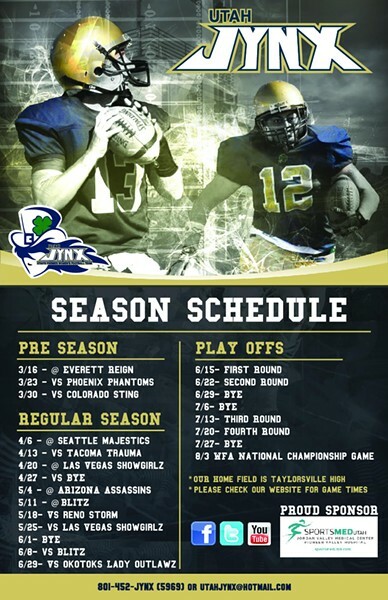 Fans can visit our website, where we are selling season passes for $35, which are good for all of our seven home games that will be played at Taylorsville High School. Season highlights can be found on YouTube, and become a fan on Facebook to be updated on our next event.